Marlon Brando: "The Wild One" Lived in His "Cat's House"
Marlon Brando – was American legendary actor who’s been acting more than five decades. Brando’s best known works are A Streetcar Named Desire (1951) and The Godfather (1972). He became iconic figure in 1950s for antisocial figure. He had photographed with his cats several times and Vito’s cat in iconic figure in 1950s for antisocial figure. He had photographed with his cats several times and Vito’s cat in 1950s for antisocial figure. He had photographed with his cats several times and Vito’s cat in The Godfather have behind the scene story. Marlon Brando was born April 3, 1924, in Omaha, Nebraska. After he dropped out of high school, Brando worked as a ditch-digger as a summer job arranged by his father. Brando moved to New York to study with acting coach Stella Adler and at Lee Strasberg’s Actors’ Studio. Acting is the first thing he had ever enjoyed, was not criticized and accepted there. While at the Actors’ Studio, Brando adopted the “method approach,” which emphasizes characters’ motivations for actions.at the Actors’ Studio, Brando adopted the “method approach,” which emphasizes characters’ motivations for actions. The second film A Streetcar Named Desire (1951) made him a star. Brando played Stanley Kowalski which he already played in Broadway, earned him critical success and four Academy. 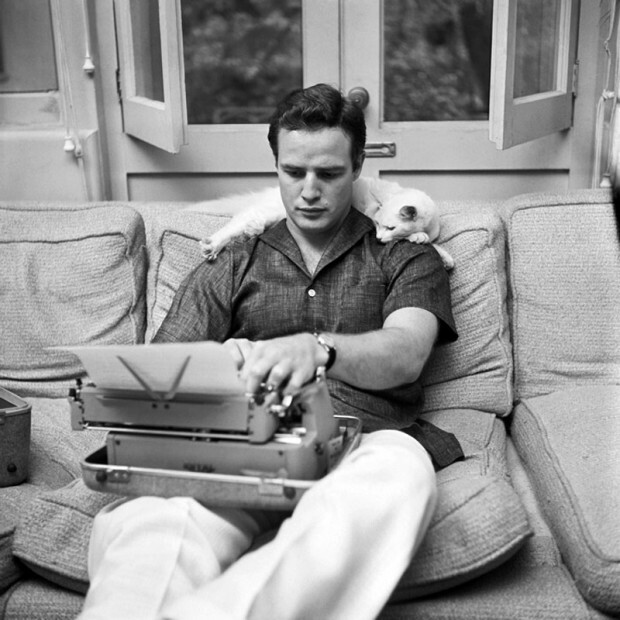 Brando once said of his relationship with his feline pet, I live in my cat’s house. 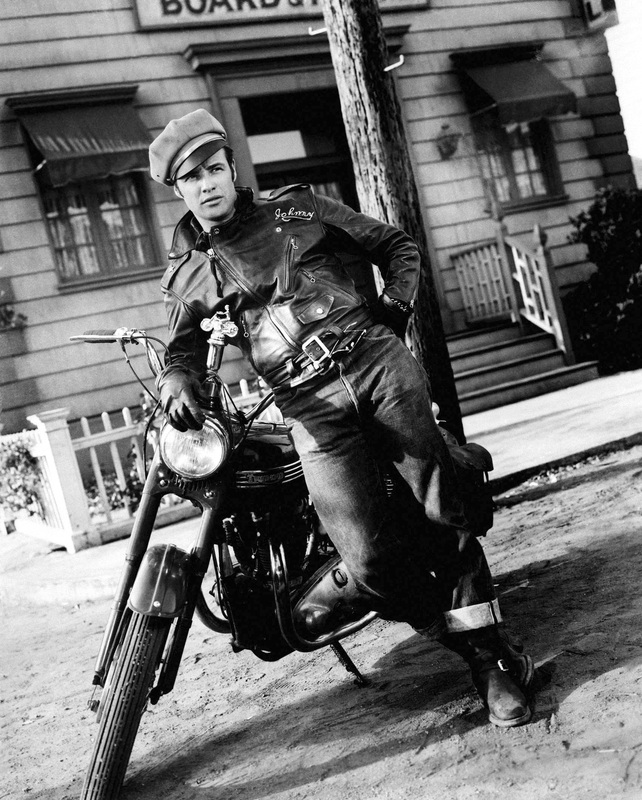 Brando’s portrayal of the gang leader Johnny Strabler in The Wild One has become an iconic image, used both as a symbol of rebelliousness and a fashion accessory that includes a Perfecto style motorcycle jacket, a tilted cap, jeans and sunglasses along with moody glare.Perfecto style motorcycle jacket, a tilted cap, jeans and sunglasses along with moody glare. James Dean and Elvis Presley have been inspired by him and followed his style. Brando represented a reaction against the post-war mania for security. He was a development from the gangster leader and the outlaw with no code, but only his instincts. Brando was a hero to youth because he was strong enough not to take the crap from anyone, or code of society. Brando’s career was mostly in downside until 1972 with his depiction of Mafia chieftain Don Corleone in Francis Ford Coppola’s The Godfather, a role for which he received the Academy Award for Best Actor.Mafia chieftain Don Corleone in Francis Ford Coppola’s The Godfather, a role for which he received the Academy Award for Best Actor. He turned down the Oscar, however, in protest of Hollywood’s treatment of Native Americans. The Godfather was then one of the most commercially successful films of all time. Vito Corleone’s cat was his only animal associate and was seen sitting on Don Vito’s lap while he sat in his office during Connie Corleone’s wedding ceremony. 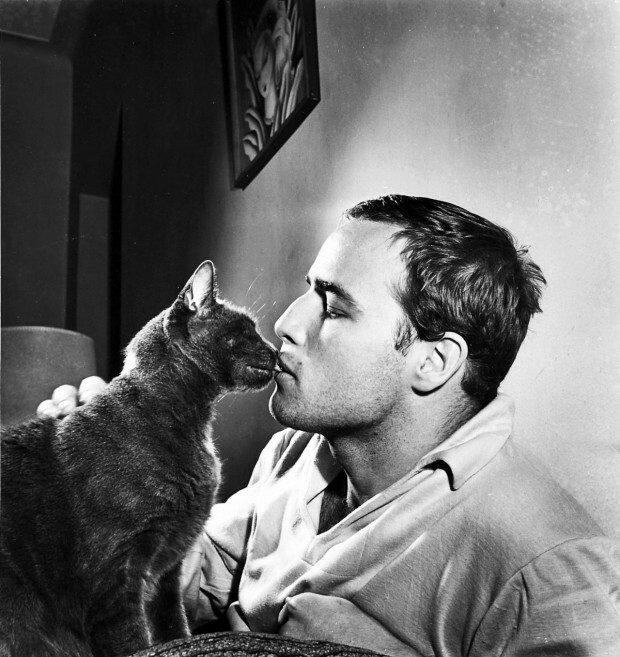 The cat held by Brando in the opening scene was a stray Francis Ford Coppola found while on the lot at Paramount. 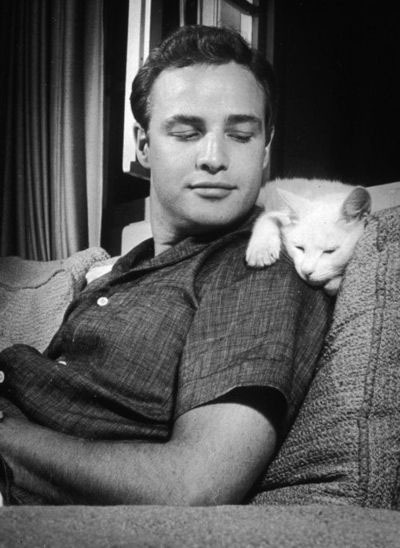 The cat was not originally called for in the script, and the cat with its purring muffled some of Brando’s dialogue, and, as a result, most of his lines had to be looped. The use of the cat in the scene has later been interpreted as representing the hidden claws beneath Don’s warm facade.Don’s warm facade. Brando died on July 1, 2004, at the age of 80 in California. His iconic image is still alive and inspires us to think What is true American freedom ?